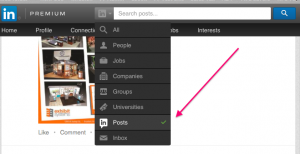 Have You Found These 10 Hidden LinkedIn Features? Obtain your SHRM-CP or SHRM-SCP for free! Celebrating our 10th Annual Conference - A Decade of Difference. This is the title and theme of our fast-approaching 2015 Human Capital Conference on May 12th. And what a conference it promises to be! For ten years GMA SHRM has staged one of the largest HR conferences in Wisconsin (only the WI SHRM State Conference draws a larger crowd). In each of these past ten years, a small group of chapter volunteers have annually brought together world-class talent to enlighten and inspire our members. And each year the quality, depth, and number of registrations have grown to make the May conference the highlight of GMA SHRM’s year. What’s on the schedule for this year’s conference? I’m glad you asked! Our morning keynote this year is Ross Bernstein. Ross comes to us from the Twin Cities with rave reviews for his passionate and inspirational presentation on the Champion’s Code. Rumor has it that we’ll be brought to tears as Ross guides us through powerful stories that explore the personal challenges that world-class athletes and coaches have faced and how they overcame these challenges to achieve their goals. But Ross’s message isn’t just about sweat on the playing field – it’s about lessons for success that directly translate to the world of business and our own role as HR professionals. I, for one, can’t wait to hear what Ross has to share with us. But that’s not all! 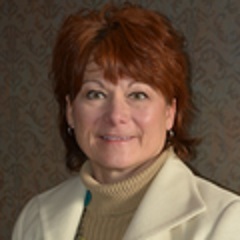 Our luncheon keynote will be another stand-out presentation featuring Carol Grannis and Cindy Maher from Leading Edge. Their lively, humorous, and provocative session on Reaching Resonance: Leading with Emotional Intelligence will guide us in a deep exploration of the impact of a leader’s emotional intelligence on employee engagement, productivity, innovation, and creativity. And I hear that they are a riot at the podium! Come prepared to laugh and learn! A Reputation for Kindness: Building a Kindness Culture – Carol and Cindy again! When you’re not soaking up all of the great knowledge and insights from our keynotes and breakout sessions you’ll also have a chance to network with over 200 of your HR peers from the greater Madison area as well as learn about the array of resources available from our conference sponsors: The Payroll Company, Lee Hecht Harrison, Adecco, Delta Dental, Restaino & Associates Realtors Relocation Division, Talentwise, and Remedy Intelligent Staffing. Each year our Human Capital Conference raises the bar on the quality of its keynotes and breakout sessions and the opportunity to network with your peers is unparalleled. You won’t find a better value for your time and money than to spend a day of learning and networking. For only $125, you really can’t go wrong! And, stick around for the networking reception at the end of the conference and you just might win an iPad! I know where I’ll be on May 12th. Hope to see you there! Wisconsin recently enacted "right-to-work" legislation (2015 Wisconsin Act 1). Despite the significant media attention that has been given to the legislation, right-to-work legislation is frequently misunderstood by employers, employees, and the public. This article will explain the new right-to-work law and how it impacts union security provisions, and will answer commonly asked questions regarding the right-to-work law. General Background on Right-to-Work and Union Security. The National Labor Relations Act (NLRA) protects the right of employees to join or not to join a union. As a general rule, an employer or a union may not coerce an employee in the exercise of that right. That means, with one exception, an employee cannot be fired or laid off because the employee refused to a join a union or pay dues. Another provision of the NLRA, Section 14, provides that nothing in the NLRA shall be construed as authorizing the execution or application of agreements requiring membership in a labor organization as a condition of employment if such action is prohibited by state law. In other words, if a state passes a law providing that an employee does not have to be a "member" of a union or "pay dues" to a union, the employer and union in that state are prohibited from reaching an agreement requiring employees to pay union dues. These legislative provisions have become commonly known as the "right-to-work" laws, and form the basis for 2015 Wisconsin Act 1. Simply put, Act 1 provides that no individual can be required to become or remain a member of a labor organization; be required to pay any dues or fees to any labor organization (or 3rd party); be prevented from voluntarily financially supporting a labor organization; or be forced to resign from membership in any labor organization. Wisconsin has become the 25th state in the country to pass “right-to-work” legislation. Act 1 took effect on March 11, 2015. However, for employers who have existing collective bargaining agreements, the law takes effect upon the renewal, modification, or extension of any agreement after the effective date of the law. Therefore, if a collective bargaining agreement is reopened for the purpose of negotiating changes in any provision in the agreement, including wages, Act 1 becomes immediately effective with respect to the agreement and voids any union security provision contained in the agreement. The terms of a current collective bargaining agreement remain in effect until the expiration of the contract, including any current union security provisions. Any new employees hired will be governed by the terms of the existing contract. As contracts near their expiration dates (or maybe sooner), unions may be interested in discussing matters concerning union security and dues check-off with the employer. Every employer’s circumstances may be different and employers should seek further guidance when agreement terms are being addressed. Unions will likely be hesitant to resolve any disputes under the existing contract by a memorandum or letter of understanding because such a change to an existing contract would trigger the application of the right-to-work law as to that contract before the stated term of its expiration. Many labor agreements include a provision stating that the employer will deduct union dues from an employee’s paycheck and submit the dues to the union each month. This makes it easier for the union to collect dues. Such provisions are lawful as long as the employee authorizes the deduction. The new “right-to-work” law in Wisconsin still permits dues deduction “check-offs”. However, Act 1 provides that employees now have the right to terminate such authorizations upon 30 days’ written notice. Act 1 does not require employers to provide any notice to employees or take any other action. Employees will need to provide dues check-off forms to employers or notify employers to stop any deductions. Historically, it has been assumed that unions would discuss membership, union security, and dues check-off provisions with employees. In practice, this has not always been the case. Employees have at times been left to figure these issues out on their own and some employers simply follow union guidance. It is likely that unions will take a much more active role in communicating with employees on these issues, and in particular soliciting union membership and dues check-off authorizations. Violating Act 1 constitutes as Class A misdemeanor which is punishable by 9 months in jail and/or a $10,000 fine. Employers should be careful about continuing any sort of union security provision after the effective date of the law, or agreeing to any extension of an agreement with such a provision. Employers must be careful about addressing these issues with employees! Under the NLRA, an employer may not interfere in any way with an employee's full and free exercise of the employee’s rights by directing, suggesting, encouraging, assisting, etc., an employee in any way in deciding to become or in becoming a union member, a financial core member, or whether or not to pay dues. An employer can only tell employees what their contractual obligation is, and answer employee questions. An employer cannot encourage the questions, and any answers to employee questions cannot go beyond what was asked by the employee. Probably most important, if an employer talks to an employee on these issues, the employer must make it absolutely clear that the decision of whether the employee is or is not a union member, or pays dues, is entirely up to the employee, and the employee’s decision on any of these issues will in no way affect the employee’s employment now or in the future. Submitted by Tom O’Day, Godfrey & Kahn S.C. Legislation that would significantly enhance the ability of a business to enforce a non-compete agreement has been introduced. 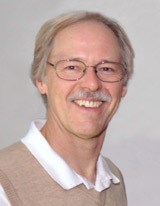 On March 5, 2015, Senator Paul Farrow introduced 2015 Senate Bill 69, which is legislation that will repeal and recreate Wisconsin Statute 103.465, the law that governs restrictive covenant agreements (a.k.a. non-compete agreements) in Wisconsin. The proposed legislation clarifies the law and would make judicial enforcement of non-compete agreements more predictable and certain. If passed in its current form, the legislation will radically change how non-compete agreements ae construed and enforced in Wisconsin. Wisconsin’s current non-compete law, both the statute and as interpreted by courts, has made Wisconsin one of the more difficult states in which to enforce a non-compete agreement against an employee or former employee. Because of the discretion that the current law provides to a reviewing court, actions to enforce a non-compete agreement are often costly and unpredictable. Under current law, there is a great potential that a reviewing court would find a non-compete agreement to be unenforceable. Require courts to modify otherwise unenforceable agreements to make them enforceable. For example, if a court determined that a two-year restriction on competition was too harsh, it could enforce a one-year restriction if it found that to be reasonable. Establish presumptive enforceable and unenforceable time periods for restrictive covenants, with a presumption that a restriction of 6 months or less is reasonable and a presumption that a restriction of more than 2 years is unenforceable. These presumptions are not hard rules, but will provide clear guidance to employers and employees alike. Expressly exclude certain confidentiality agreements from the definition of a “restrictive covenant.” Wisconsin is a rare state that requires a time limit on how long you can restrict a former employee from sharing confidential information. Under the proposed legislation, that oddity would be removed. Expressly identify what is sufficient consideration—what the employee gets in return for signing the agreement—to include new employment and continued employment, along with other specifically identified examples of sufficient consideration such as a bonus payment. Expressly define the “legitimate business interest” that a company can rely upon to enter into a non-compete agreement. The proposed legislation contains language that is supportive of the concept of non-compete agreements in general. The proposed changes signal a new era of restrictive covenants in Wisconsin, overturning prior court precedent and providing clarification and guidance where there was previously uncertainty. More importantly, the proposed law would likely make enforcement of restrictive covenant agreements easier, an effect that generally benefits employers. If passed, the revised statute will likely be prospective in its application, applying to agreements executed on or after the effective date of the law. A warehouse worker told other employees that he was having homicidal thoughts at work. They reported this to management. The company did nothing for almost a month. During that time the employee then came to managers and made several requests for leave for medical insurance paid care for his severe depression. The company then fired him for his earlier statements about homicidal thoughts, claiming it violated the company policy about threats and workplace violence. He filed an ADA case, and the court ruled in his favor. It found that the several week delay was a problem. If the company had fired him quickly then there would have been no case at all – he did violate the anti-violence policy. However, management waited, and waited until he raised the issue of disability and requested treatment under the “expense of the company’s health insurance.” Then they fired him. It created every appearance that the disability and health expenses were the real reason for the discharge. Walton v. Spherion Staffing (E.D. Pa., 2015). The Workforce Readiness and Diversity Committee is in partnership with the Salvation Army Job Connect event. This happens every Wednesday from 10:00 am until 12:00pm at the Salvation Army on 3030 Darbo Drive. During this time participants can come and meet with different resource programs such as food share, housing, and mock interviews / resume reviews. Typically under 20 people attend each Wednesday and our volunteers meet with 1-3 people to do interviews or review resumes. This is similar to the Job Boot Camp program. The volunteers that have attended these events recently have met with some great people and even had the opportunity to pursue a few job openings. Please contact Lori Sheets (lori.sheets@adeccona.com) if you are interested in volunteering or would like to learn more. Thank you! Wow. With all the LinkedIn changes taking place lately, even a guy like me has a hard time catching up. So, I’m going to share with you ten really cool hidden LinkedIn features you may have missed. 1. Give them a shout-out. Here is a really cool but simple way to get someone’s attention when either sharing or commenting on a status update. Just type an “@” sign prior to including someone’s name in an update. Then when you find the person and select them in the list provided by LinkedIn, the person’s name will be hyperlinked to their profile. At the same time LinkedIn will send them a message notifying them that they were mentioned in your update. You can do the same thing with company names. Sometimes this is a little quirky when you have multiple people in your network with similar names. Therefore, try entering the person’s last name if they aren’t found correctly when using their first name. The extra effort is worth it. 2. How many connections is 500+? You can now get reasonably close to the actual number by going to the person’s profile, scrolling over the small down arrow, and then clicking View recent activity. The number of followers will appear in the upper right-hand corner. Followers are defined as connections plus people who have clicked the Follow button on someone’s profile. Thus, the number isn’t exact, but it should be pretty close to the number of connections the person has. 3. What are they talking about? If you go to View Recent Activity and follow the same steps outlined in #2 above, you can see what the person has been sharing in his/her updates for up to the last couple months. If you want to automatically get the person’s updates going forward, just click Follow. 4. Is this group really for you? Check out the group’s statistics when evaluating whether to join a group or not. Some of the statistics include member demographics (seniority, function, location, industry), membership growth, and activity (number and trends of comments, discussions, jobs, promotions).To find a group’s statistics, click the “i” icon on any group profile. 5. I’m not really interested in what you have to say. If someone is sharing updates that are really not in your areas of interest but you don’t want to disconnect with the person, just scroll over to the top right-hand corner the next time you see one of his/her updates and click the word Hide. Then you will no longer receive the person’s updates in your feed. You can always “unhide” if you want to start receiving them again. 6. Find the experts and see what they are writing about. You can search the entire LinkedIn database of long-form published posts (articles), even those written by people you are not connected to. Just use keywords after you select Posts from the drop-down menu in the main Search box. 7. Birds of a feather. LinkedIn really does a great job helping you find people with similar characteristics (company, groups, job titles, location, etc.) to the person whose profile you are currently checking out. These sections usually show up in the right-hand column if you scroll down just a bit from the top of the person’s profile. You can access this by clicking Fields of Study Explorer after clicking Education on your top toolbar. This is a great tool for recruiting. Trust me–you are going to love this one. 9. It is your data anyway. This is a fairly new feature. You can request a zip file from LinkedIn that is full of spreadsheets with all sorts of your data, including a complete list of your first-level connections, your search history and so much more. Get yours by going to your photo on the top right of your toolbar and selecting Privacy & Settings. Choose Account and then Request an archive of your data. Within 72 hours, you will get your zip file. 10. Who doesn’t love to save $10? Here is one that may save you lots of money. In order to send a direct message to a person you are not connected to, you have to purchase an InMail or use one of the InMails you get with your premium account–unless, of course, you share a LinkedIn group with that individual. Yes, that’s right. If you are both in the same group, you can message him/her for free–with only one exception; that is, if the person has changed his/her settings and chosen to not accept messages from fellow group members. However, this rarely happens because the default setting is Allow members of this group to send me messages via LinkedIn. To do this, when you’re on the profile of a person you’d like to message but who isn’t a first-level connection, scroll down to the person’s groups and see what groups you can join. Join the group, go into the group itself, click Members, and then put the person’s name in the Search box. When his/her name comes up, select Send message and do just that. Nice job! You just saved $10 or saved one of your InMails for someone who doesn’t belong to any groups or at least any groups that you have permission to join. I hope you found a few goodies on this list. If you did, be sure to share this article with your LinkedIn network .They’re sure to appreciate your thoughtfulness. For more helpful tips, visit www.powerformula.net. GMA SHRM recently launched a new page on our website which provides information on the SHRM and HRCI Certifications, in addition to information on the student Assurance of Learning Exam. 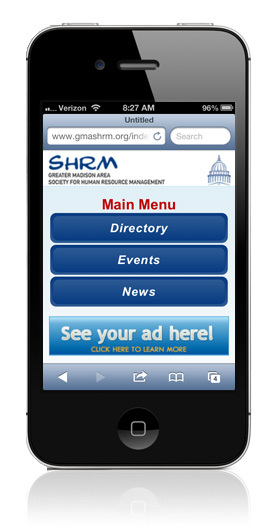 Visit www.gmashrm.org and click on “Certification Information” under the “Education and Events” header to learn more. Applications must be or emailed as a PDF by April 17, 2015 to be considered. Please review the qualifications and application process by visiting www.gmashrm.org, and selecting the “Professional Award” link under “Membership”. To make the application process easier, everything will be submitted electronically and there is no separate application form to complete! It is my opinion that it’s really a waste of time to search for a job on line and apply for them; it is all but impossible to obtain and interview this way. You really need to network to find a position. Here is my story of why I believe the above statement to be true. After spending over a year applying for positions online with little to no success, I made the decision to join GMA SHRM, while attending the GMA SHRM Revealed event where I learned about the various committees and ultimately made a connection with the Membership Chair. I ended up deciding to join the Membership Committee because I felt it would be a great opportunity to do further networking. The Membership Chair said he would like to introduce me to someone who could be a great networking resource and worked for an HR Firm. I connected with his contact and we arranged for a telephone conversation. After telling my story and explaining what I wanted to do she forwarded my resume to a manager that had an opening. I was brought in about a week later for an interview and 3 days later an offer was extended. All this has happened in less than 6 weeks from the time I joined the committee and began focusing solely on networking. Don’t underestimate the power of joining professional organizations, LinkedIn groups for your city or cities you want to work in, searching for people that work for companies you want to work for and have similar roles you want and make connections. Offer to buy them a coffee or lunch so you can pick their brain on how to make the transition. You will be shocked to see how many people know someone that knows someone that can and are willing to help. I recently read that research shows that approximately 70-80% of jobs are filled via networking and referrals, not through job boards and classified ads. Again hitting home my point of how critical and important networking is and how it is something that should not be underestimated. If you’re looking for a new career opportunity or you want to meet some new people make sure you attend the next GMA SHRM Revealed event on Thursday, April 30th at Badger Bowl. Madison Magazine continues its tradition of highlighting the best workplaces across the city with Best Places to Work 2015. The project invites Madison-area companies to nominate themselves for participation and then asks employees to fill out an online survey that measures employee engagement in ten key areas—from teamwork and manager effectiveness to job satisfaction and benefits. The nominations period runs March 16 to April 17, with the survey period taking place April 27 to May 29. The survey is confidential and only the top-ranked companies will be featured in the October issue of Madison Magazine. 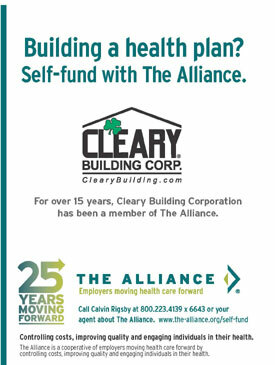 To nominate a local company or to find more details, visit madisonmagazine.com/bptw. AIESEC – Madison, a student organization at UW Madison, in partnership with 100State and LetsKeepBuilding is hosting a networking event on April 17th from 6-9pm. The goal of the event is for UW students to connect with business professionals and to learn about potential for opportunities or to help build their network. HR professionals will have the chance to network with these bright students and speak with them about their company. Please contact Ian Kawetschanky at vpbd-madison@aiesecus.org with any questions. Please click here to register for the event. of fun in relation to problem solving, creativity and innovation. You'll learn why fun can be a powerful motivator and some guidelines for leaders when utilizing fun, humor and play as a management strategy. Colleen Miller will be our presenter for this event. After receiving a B.A. 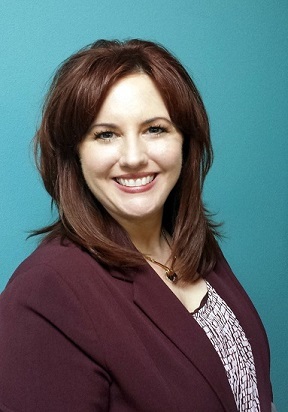 in psychology, Colleen went on to obtain a law degree and practiced personal injury and family law for 12 years. She is the founder of Lighten Up Consulting and is now working as an elite speaker, an intuitive life strategist, a transformational coach and enlightening author. April 30th - GMA SHRM Revealed! 2015 Human Capital Conference - Save the Date - Registration Open Soon! As a Client Employment Specialist, I partner with our clients to address their direct hire, long term and short term staffing needs by providing top-notch, qualified candidates within a variety of industries and professions. I am proud to work at The QTI Group! Every day is extremely rewarding as we see the results of our team’s efforts. I feel fortunate to be able to positively impact Madison area businesses, and enhance lives within our community with each successful placement. I am equally proud to have participated in the Bike4BGC event this past year on QTI Group’s corporate team. The Bike4BCG event is an annual, fun-filled bike ride where pledges are raised to support the ongoing mission of the Boys and Girls Club of Dane County. I not only participated by riding in the event but also helped raised $1,000+ in pledges. I’m happy to share I was asked to join the Bike4BGC Committee for this year’s event. I am looking forward to playing an even greater role in the continued success of this fantastic organization. Tomorrow is never promised, so make today count. To stay connected with other human resource professionals, and stay abreast of the many changes within human resources. I like being able to help with the marketing ideas. My background is in marketing and reaching out to others. Please find one of the committee’s that would fit your interests. Or try a new one to learn how to help in a new area. I have gotten a good feeling of being able to be part of the Communication and Marketing committee’s progress. I have also meet some really great people along the way. ﻿GMA SHRM welcomes the following members who joined our chapter in January 2015!